Celebrity endorsements are not always what they seem to be. Maria Fowler of “The Only Way is Essex” fame in the UK opens up about how her first “celebrity” endorsement for hair transplant surgery was an utter failure and the lessons she learned by doing real hair transplant research. 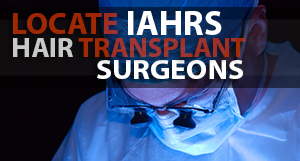 The good news for Maria is that even though her initial surgery was not what she bargained for, she made a great candidate for repair surgery which she underwent with IAHRS accepted member Edward Ball just 8 days prior to this broadcast. When it comes to having a successful hair transplant, timing is crucial. Understanding that having surgery prematurely can lower your odds of sustaining a long term, aesthetically pleasing result is something that most hair loss consumers are never made aware of. 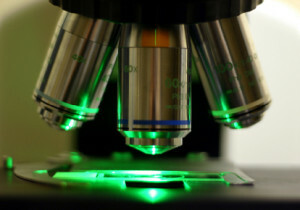 Do your homework before jumping into hair transplant surgery. Topical Finasteride (Propecia) – How To Get It And Does It Work? IAHRS accepted member Dr. Alan Bauman stops by TBT studios 2 in Beverly Hills, to discuss the current state of the hair transplant industry as well as topical finasteride, and that like PRP, not all formulations are created equal. "Spencer Kobren's nationally syndicated show "The Bald Truth" has a dedicated listenership that would have Rush Limbaugh pulling his hair out in envy." --Pittsburgh Tribune-Review. Want a Great Hair Transplant? – You Better Do Your Research! 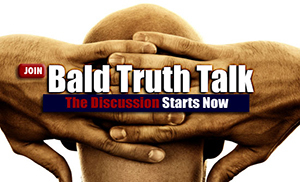 Copyright © 2019 Hair Loss Radio Show: The Bald Truth. All Rights Reserved.